We are extremely proud to announce that, starting today, our iOS app is publicly available. 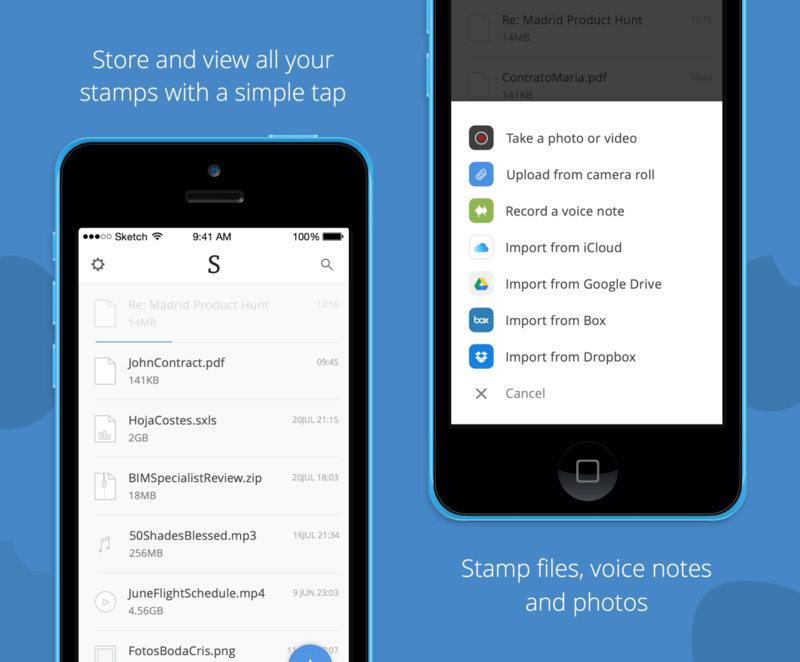 With the app, you can now stamp any photos, voice notes or files in no time, opening a new world of possibilities. Or, you can record a vocal contract, which are legally binding in a lot of countries but extremely difficult to prove they happened. Now you can create them on the go just by tapping a button. We’ve been meticulous about translating our carefully crafted desktop experience to the iOS platform, with the quickest and most simple way to stamp and access your stamps.